Here’s a brief list of everyday teeth cheats, or simple habits you should adopt to increase the lifetime of your teeth. These little rituals are easy to fit into anyone’s daily routine, and can really save you extensive time (and money) that may otherwise be spent on tooth repairs and restorations. 1. Keep a toothbrush and toothpaste in your purse, desk at work, or your car. Basically, have a toothbrush on hand wherever and whenever you snack. It’s important to brush right after eating (even if it’s just a tiny snack) to get rid of as much bacteria as quickly as possible. 2. Many people make a habit out of sipping coffee or tea all day. Unfortunately, both of these drinks can do some serious damage to your teeth, as they contain staining ingredients for your smile. You’ve heard it a million times, but that’s because it’s true: drinking water is the best thing that you can do for your body (and your enamel). If you prefer something hot, try simply heating up your water before drinking. If not, try to cut down your daily intake of other beverages. 3. Drink soda or coffee through a straw whenever possible. This minimizes the amount of enamel that the staining beverages come into contact with. Your pearly whites will thank you in the long run, and you’ll be able to continue to show off your smile. 4. Don’t use your teeth to open anything! They are specialized tools which are solely meant for biting foods and chewing. Think of it this way: opening a container with your teeth is like using a screwdriver to bang in a nail. 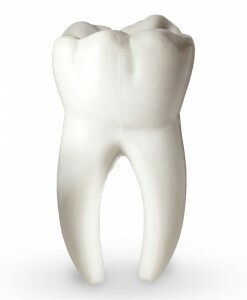 You want your teeth to stay with you for life, so don’t do actively destructive things to them! It’s common knowledge that the use of tobacco products can increase your overall risk of oral cancer, but there are other factors at play as well. Regular exercise, proper diets, and good habits are the building blocks for any healthy lifestyle, but they can significantly lower the possibility of many diseases. As always, regular brushing, flossing, and other beneficial dental care are your best tools for preventing the development of many diseases. Tobacco usage, especially smokeless tobacco, such as chewing tobacco, is a known cause of oral cancer. The best way to prevent oral cancer from developing is to completely stop the use of tobacco products. We know that it can be hard to quit this addictive habit, but it’s one of the best things that you can do for your health, and the health of your loved ones (secondhand smoke is a proven cause of other types of cancer). Your dentist and doctor can give you great advice and other tips to help you quit using tobacco products. Please turn to them for advice and let them know that you want to quit. They will be 100% supportive, which can really make a difference in your quest to stop! Every dental examination at the Harrow Dental Centre includes a recorded review of the health of your teeth, gums and your oral soft tissues. Early detection and treatment of any dental or medical problems makes treatment easier and more successful. Please don’t wait speak to your Doctor or contact the Harrow Dental Centre by telephone 02084272543 or via our website www.harrow-dentist.com. With acknowledgements to Best Dentist News.